The city of Marrakech was Voted the World’s Top Holiday Destination by TripAdvisor. Marrakech is the third largest city in Morocco after Casablanca and is a three hour drive from High Atlas Mountains. 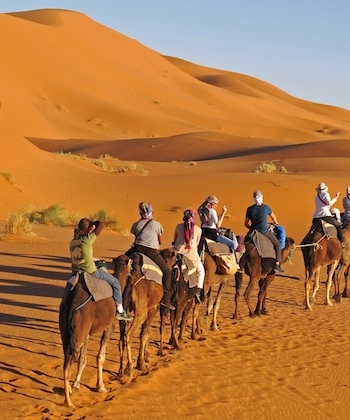 The location of Marrakech makes it ideal for taking Sahara Desert Tours and Private Day Trips for travelers whose schedule allows for a limited time in the country. Ideally positioned an hour from Spain and three hours from Paris, the locale of Marrakech and its contrasting landscape has made it a top destination for Morocco Travelers. 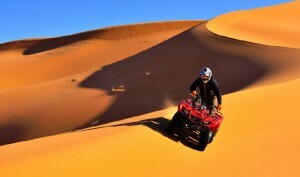 There are a vareity of Desert Adventure Tours to the Sahara from Marrakech to choose from. For travelers who have a liimited amount of time some options are a 3-Day, a 4-Day or a 5-Day Sahara Desert Tour. Visitors that have a longer timeframe can instead choose a Tailor Made Tour. Day 1: Departure from Marrakech to Ouarzazate via the Tizi-N-Tichka Pass. Along the route you will see panoramic views of the High Atlas Mountains as well as sights of fertile valleys, blue and red colored pise villages and other striking mineral environments. 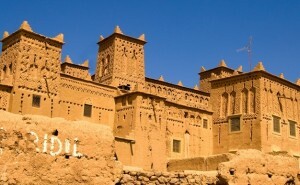 Visit Kasbah Telout, one of Morocco’s hidden jewels and a famous Kasbahs that is the origin of the Pacha Glaoui Family. Continue to the Skoura Palmeraie. Overnight in Skoura at a Charming Boutique Riad. Day 2: Explore Skoura and the Valley of 1000 Kasbahs. Visit the Valley of Roses. Next, drive towards the Sahara Desert. Visit Erfoud, the capital of fossils. Tea in Mount Mgoun with Nomads. Continue to the Erg Chebbi Dunes. Trek by dromedary for 2 Hours before sunset. Arabian Nights dinner and couscous. Overnight in a Luxury Desert Camp. 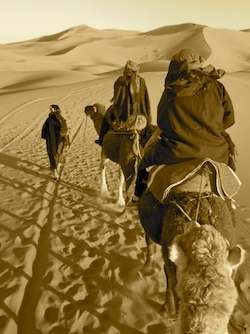 Day 3: Travel by pise across the Sahara Desert. Continue the towards Rissani. Continue to Rissani for a breadbaking lesson on Madfouna. Next continue to a Berber Village. 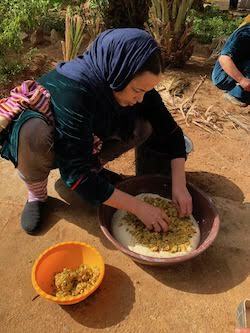 Sip Mint tea and eat Couscous with a Berber family. Next take the road to Ouarzazate. Overnight at a Charming Boutique Riad in Ouarzazate. Morocco is the perfect family destination as it offers a unique blend of cultural and adventure experiences for families looking for an educational and active holiday. The combination of Morocco’s grand Sahara Desert, old world souks, and mountain regions offer a pure and relaxed setting. 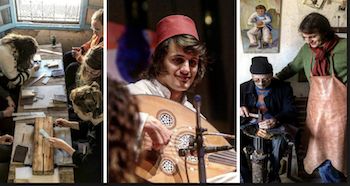 On Travel Exploration Morocco’s Family Adventure Tour you will visit luscious food markets and fanciful bazaars, zip line across Morocco’s High Atlas, camel trek in the Sahara Desert, take a hot air balloon ride, learn how to make a Moroccan tajine and meet a Berber family. 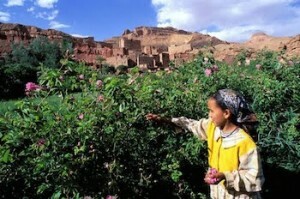 Moroccans are wonderful hosts and family oriented which makes the country ideal for family travel. Visitors who take their families to Morocco for an Adventure vacation with Travel Exploration always report back saying it was the best vacation ever! 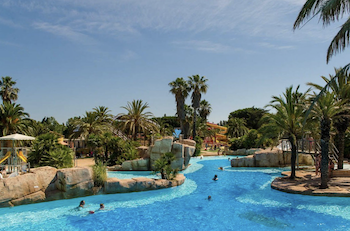 Morocco Family Adventure Vacations are ideal for parents who want to have the responsibility for planning a family holiday out of their hands to be passed along to a Morocco travel planner and agent who will take care of the details. At Travel Exploration you are guaranteed to receive a hand curated itinerary that is fit for the entire family. Our family vacations to Morocco are private tours geared around each family’s interests. A private, English Speaking driver is provided along with luxury transportation for the entire family in 4×4 land cruisers or other comfortable vehicle suitable for Imperial City and Desert travel. Each Morocco family tour also includes stays at boutique riads and hotels that are well appointed in the old cities, family friendly and ideal for travelers to Morocco in all seasons. Imagine a Morocco Private Tour where your entire family can have an authentic experience in their own private four wheel drive vehicle. 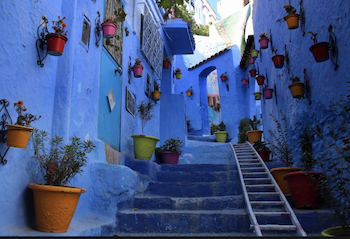 Venture through the alleys of Morocco’s ancient medinas (cities) surrounded by exotic smells of the spices, olives, food markets, fresh baked bread and the sound of the muezzin call each day at prayer time. Discover a Souk Tasting Tour in Fez where you will visit a bread oven, try honeys, juices, dried fruits, soups, meats and other exotic flavors found on the streets of Fes. Visit palaces and gardens set inside the walls of UNESCO Fes. Quad bike across the Sahara Desert Camel Trek across the magnificent Erg Chebb Dunes in the heart of Merzouga, then overnight in a charming Berber Desert Camp with a 1001 Arabian Nights dinner fireside with drumming and desert music. Visit the Skoura Palmeraie and the Valley of 1000 Kasbahs. Explore Morocco’s Oasis of Fint and have Tea at the Head Master’s house just foot steps outside Ouarzazate, the Hollwood of Morocco. Take an adventure ride by piste to the Atlas Film Studios where Kundun, Kingdom of Heaven, Body of Lies, Cleopatra and the Game of Thrones were filmed. 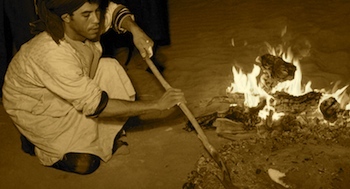 Dine on couscous and bread bake with a Berber family in the heart of the Draa Valley, known for over 45 qualities of date. Continue on to more popular regions through snow capped mountain passes. Walk in the footsteps of Morocco’s ancestors to discover Ait Benhadd Ksar. 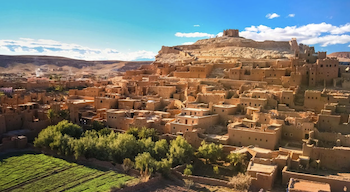 Drift through the majestic Atlas Mountains and the Tizzin’ Tichka Mountain Pass where Moroccan families Berber and Jewish have lived nestled in Kasbah fortresses and old Ksars for centuries. Then continue onto Marrakech for the a popular city experience and memorable part of a Family Adventure tour where you will witness an evening of acrobats and fire throwers at the medieval carnival in Djemaa El Fna Square under the Moroccan stars. Embark on Tasting all of Marrakech as you enjoy a five course traditional tasting menu guided by locals. End your visit on the Essaouira Coast which is full of blue washed color and seaside views. Horseback ride with views on the Atlantic and Portugese Ramparts. 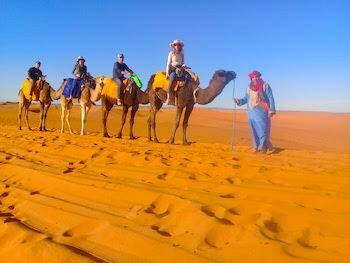 A Morocco Family Adventure Vacation is the idea tour for families of all ages and sizes. 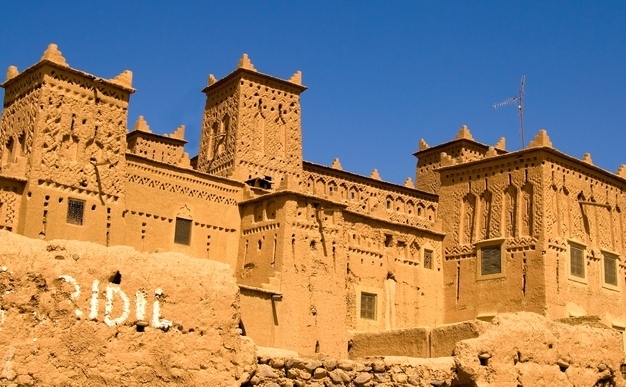 Take an Unforgettable Family Tour to Morocco with Travel Exploration this season.